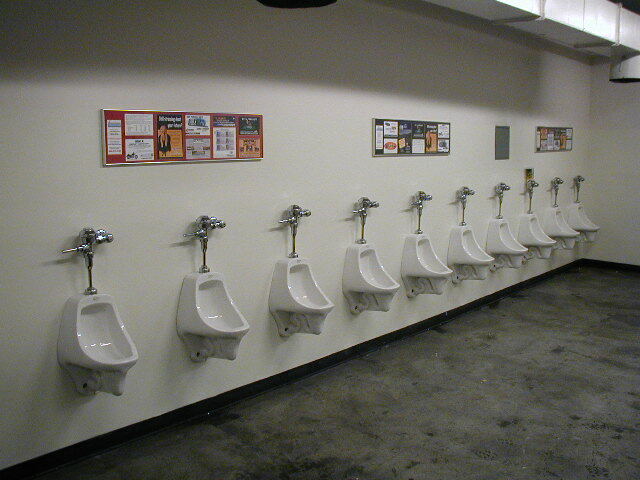 Oakland Coliseum is home to the Oakland Athletics and the Oakland Raiders and is located in Oakland, CA. 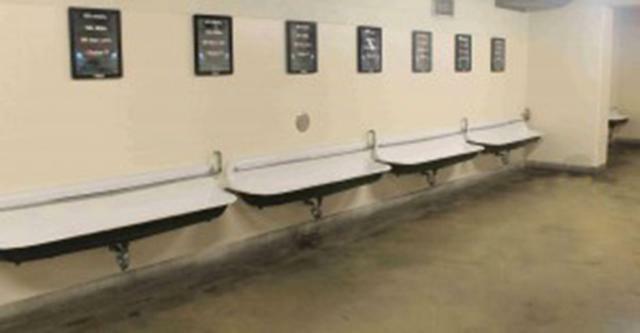 The first two photos depict the same men's room fitted with individual urinals at the Coliseum. 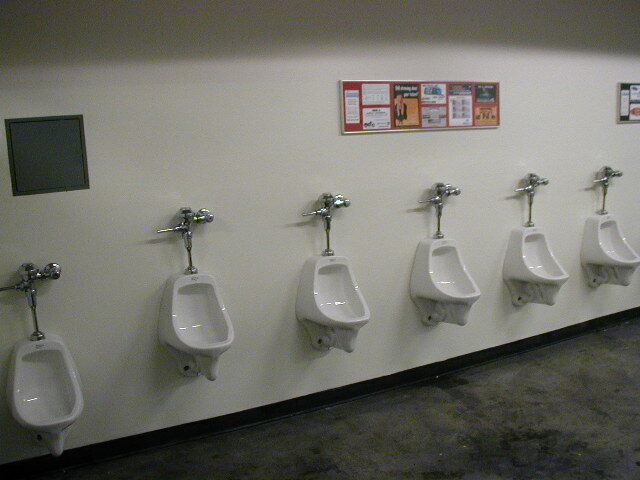 These first two pictures were taken by a member of Urinal Dot Net staff in 2001. JF submitted the last two photos 15 years later. 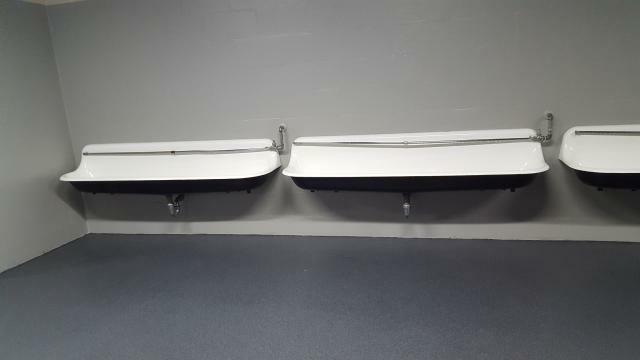 This men's room is now fitted with a series of troughs.